From the Römerpark in Boppard to the Grand Île in Strasbourg and the Münsterplatz in Basel. You can see it all during this amazing cruise along the Rhine. On the way you will be treated on magnificent views of the ever changing landscape. And of course you will enjoy the excellent service on board. We leave Arnhem at 09:30. We’ll sail through the industrial Ruhrgebied (Ruhr District) on this first day. We will moor in Düsseldorf in the evening. You can take a walk to the centre from the quayside after dinner. We continue our journey to Bonn where we’ll arrive during the afternoon. The pedestrian area in Bonn is one of Germany’s largest. There are plenty of shops in the lively, narrow streets and on the attractive Münsterplatz, Marktplatz and Friedein squares. Well-known shopping streets include the Bonngasse, the Poststra?e and the completely refurbished Friedrichstra?e. But Bonn also has plenty to offer lovers of culture. 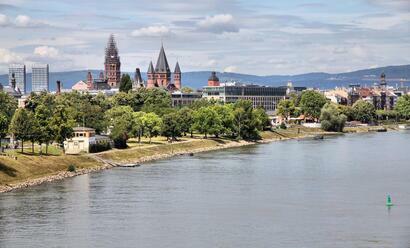 The scenery becomes even more beautiful and the Rhine is now flanked by the mighty Siebengebirge (Seven Hills). We will arrive in Braubach during lunch. The imposing Marksburg Castle, high above the town is certainly worth a visit. The completely preserved castle contains a number of interesting objects that bring the Middle Ages to life. 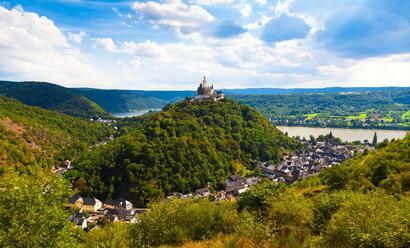 We will sail to the Celtic settlement of Boppard later in the afternoon. This former Roman fortress has a beautiful promenade that will take you right to the centre of this lovely small town. You can take the cable car high up above the Rhine to the Vierseenblick (Four Lakes View) lookout. 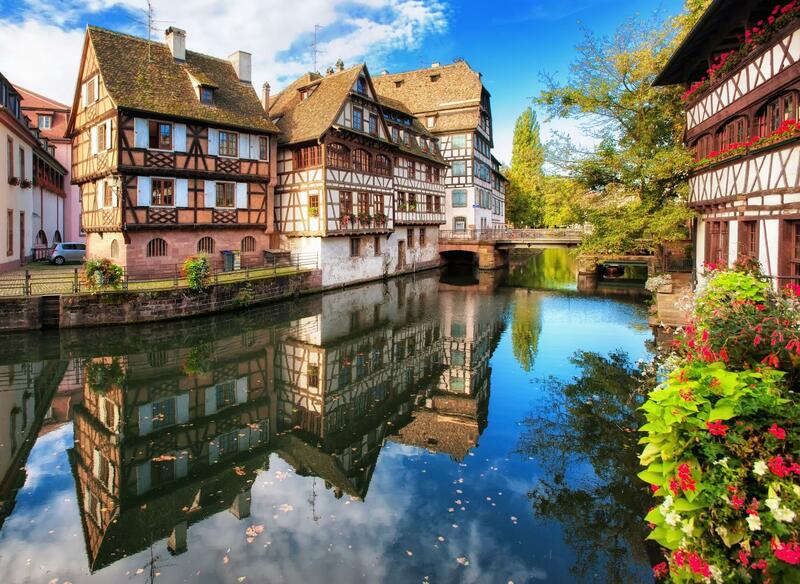 On our way to Rüdesheim you can enjoy beautiful scenery formed by the steep banks of this whimsical river. 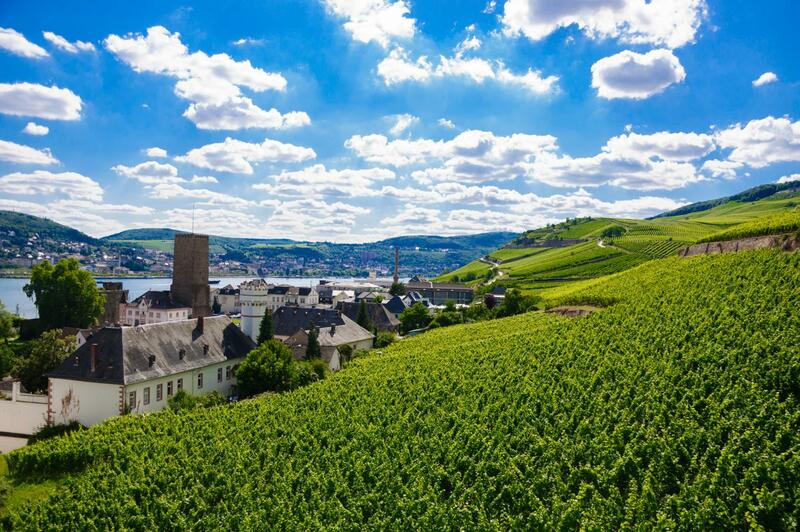 Rüdesheim has many sights including the Musikkabinett, the wine museum, the Drosselgasse, the Asbach-Uralt factories and many others. We will sail on to Mainz early in the evening where we stay overnight. 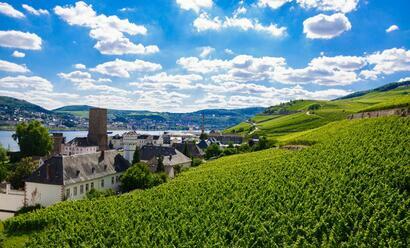 We set sail through the Rheinhessen district, famous for its delicious Rhine wines, to Speyer. The townscape of this Imperial Town is dominated by the centuries’ old Roman cathedral, which is listed as a UNESCO World Heritage Site. During dinner we will continue our journey towards Rastatt where we’ll stay the night. 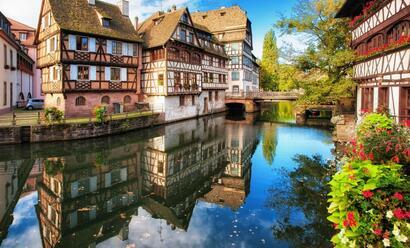 During our voyage of discovery we cross the French border early and head towards our next destination, Strasbourg. Its beautiful buildings are witness to a rich history and it won’t surprise you that this city also serves as the seat of the European Parliament. You have all the afternoon and evening to discover this beautiful city. As soon as we arrive on the canalised section of the Rhine, the peaks of the Black Forest will appear on the horizon on the port side. To starboard you’ll see the foothills of the Vosges. We’ll arrive at our destination, Breisach, during the afternoon after a wonderful day’s sailing. Today you have the opportunity to go on a wonderful excursion by coach through Switzerland(*). This tour is one of the highlights of this holiday and we’ll show you the loveliest parts of Switzerland. The coaches depart early from Breisach. Meanwhile the ship will sail on to Basel where those taking part in the coach tour can go on board again. You can sign up for this day trip on board. We leave Basel early for Kehl. The Rhine here forms the border between Germany and France. In the German town of Kehl where we arrive after dinner, it’s just a short walk to the lively town centre. We head on towards Mannheim and will moor in the mouth of the River Neckar. It’s always busy in the many kilometres of shopping promenades. You will have the opportunity in the afternoon to visit the university town of Heidelberg(*).Here you can visit the castle or walk around the centre of this lively university town. We will arrive close to the centre of Koblenz during the afternoon. 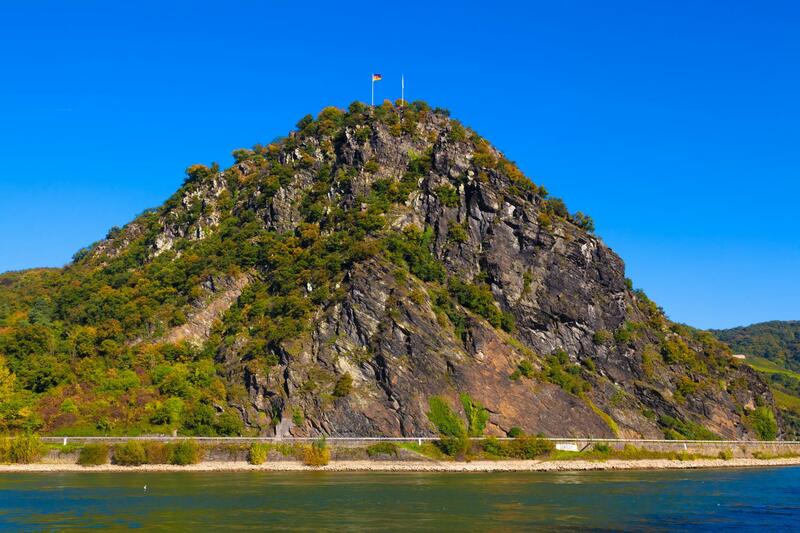 You can take a cable car from the Rhine promenade to the Ehrenbreitstein fortress. 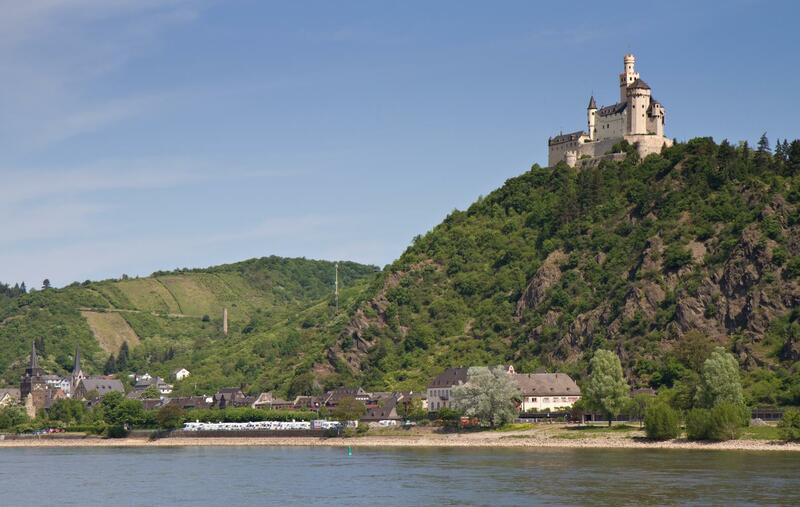 From here you have breathtaking views of the Deutsche Eck and the picturesque town of Koblenz. 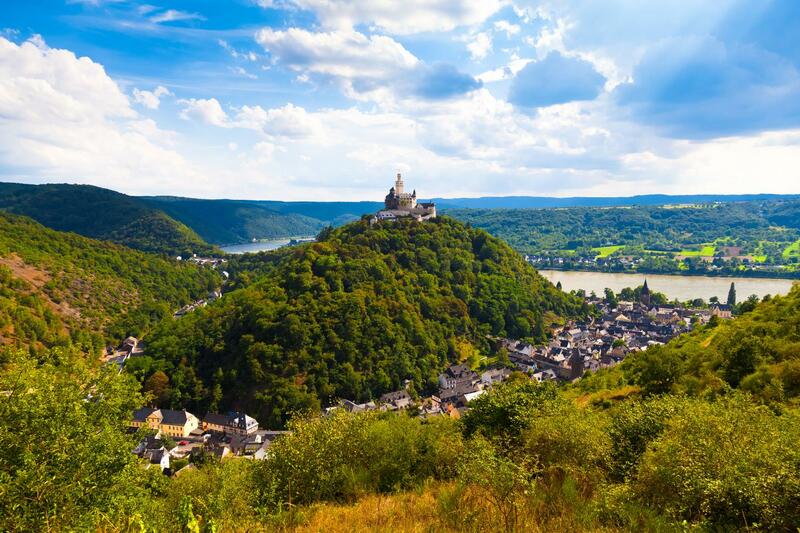 The view stretches far into the romantic Rhine Valley with its many fortresses, castles and historic wine villages. The current takes us on to Düsseldorf, where you can shop to your heart’s content or drink a glass of ‘Alt’ at one of the many outdoor cafes. The Königsallee is famous for its incredibly expensive and exclusive shops. We pass Emmerich around midday and we’ll arrive back in Arnhem at 14:00, which marks the end of this wonderful holiday. Would you like to discover the north of the Netherlands from the water? If so, then this is the cruise for you! Departing from Arnhem, you'll do a 13-day arc through the country and visit beautiful places such as Oudeschild on Texel, Franeker, Leer in Germany, Groningen and Urk. You'll see the Netherlands like never before! 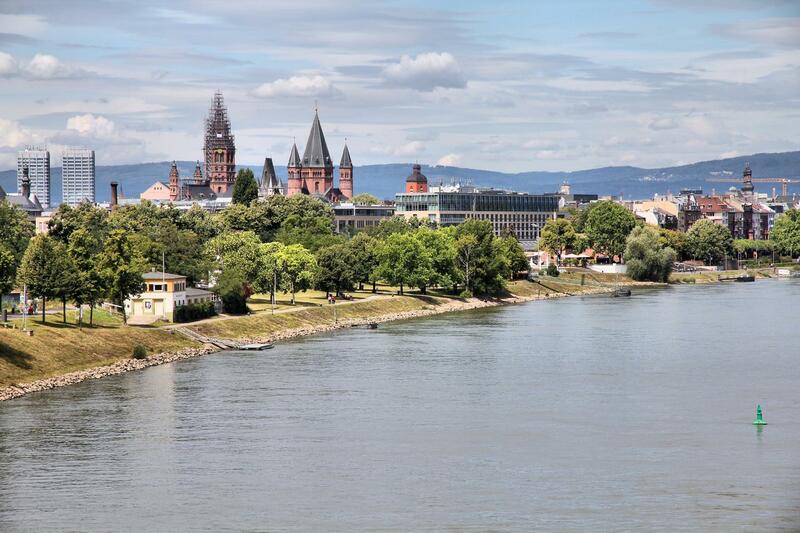 The Rhine does not let country borders stand in its way and that reveals itself during this wonderful trip. You sail past various borders from the Netherlands to Germany, France and Switzerland. 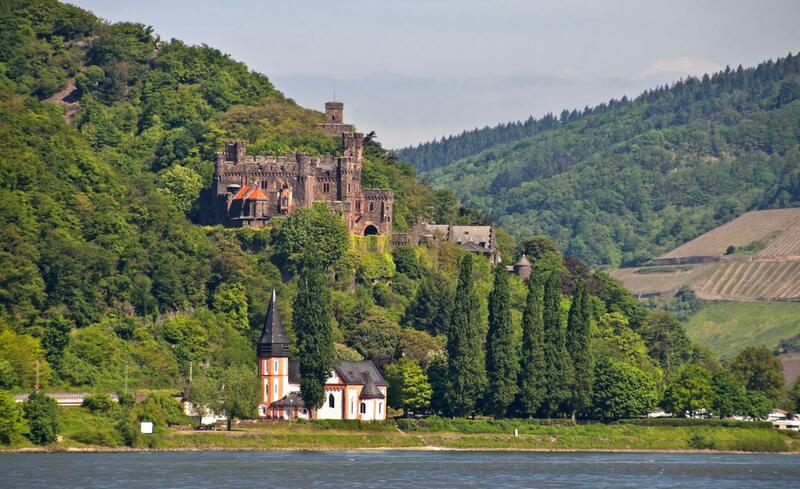 Allow yourself to be amazed by the varied landscapes through which the Rhine flows. You will see wonderful forts and castles, charming wine villages and impressive city centres. Endless enjoyment!